Forever faithful | The Familiar Spirit! Debbie Parkhurst, age 45 was home alone when she choked on an apple. Parkhurst told reporters that she had tried to giving herself the Heimlich maneuver (unsuccessfully) by beating her chest. She began to lose consciousness when Debbie’s Golden Retriever Toby took action. Maybe Toby got the idea from seeing her beating on her own chest. Toby started to jump on Parkhurst as she lay on the floor helplessly about to pass out. Well the quick thinking canines instinctual response was right on the money because the apple managed to dislodge from Parkhurst’s windpipe. “As soon as I started breathing, he stopped and began licking my face, as if to keep me from passing out,” said Parkhurst. Then the human babies came along and I shared your excitement. I was fascinated by their pinkness, how they smelled, and I wanted to mother them, too. Only she and you worried that I might hurt them, and I spent most of my time banished to another room, or to a dog crate. Oh, how I wanted to love them, but I became a “prisoner of love.” As they began to grow, I became their friend. They clung to my fur and pulled themselves up on wobbly legs, poked fingers in my eyes, investigated my ears, and gave me kisses on my nose. I loved everything about them and their touch because your touch was now so infrequent and I would’ve defended them with my life if need be. I would sneak into their beds and listen to their worries and secret dreams, and together we waited for the sound of your car in the driveway. Now, you have a new career opportunity in another city, and you and they will be moving to an apartment that does not allow pets. You’ve made the right decision for your “family,” but there was a time when I was your only family. They are as attentive to us here in the shelter as their busy schedules allow. They feed us, of course, but I lost my appetite days ago. At first, whenever anyone passed my pen, I rushed to the front, hoping it was you that you had changed your mind that this was all a bad dream.. or I hoped it would at least be someone who cared, anyone who might save me. Now that the tears are rolling down your face, pass it on! Send to everyone in your address book and around the world! 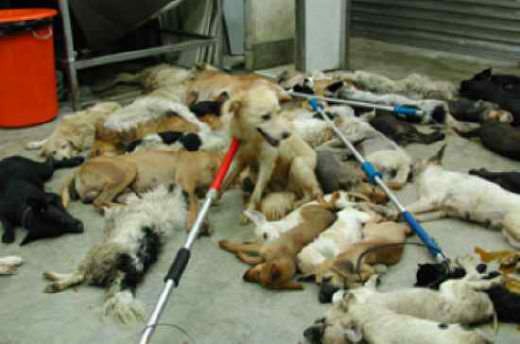 This IS the reality of dogs given up to shelters! 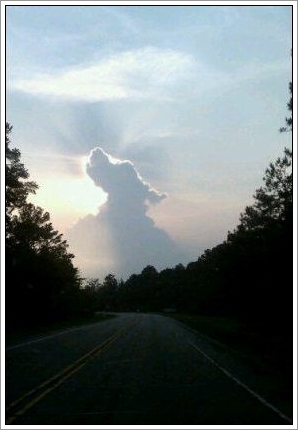 He is your friend, your protector, your dog! You are his love, his life, his leader. He will be yours loyal and true to the last beat of his heart! You owe it to him to be worthy of such devotion! 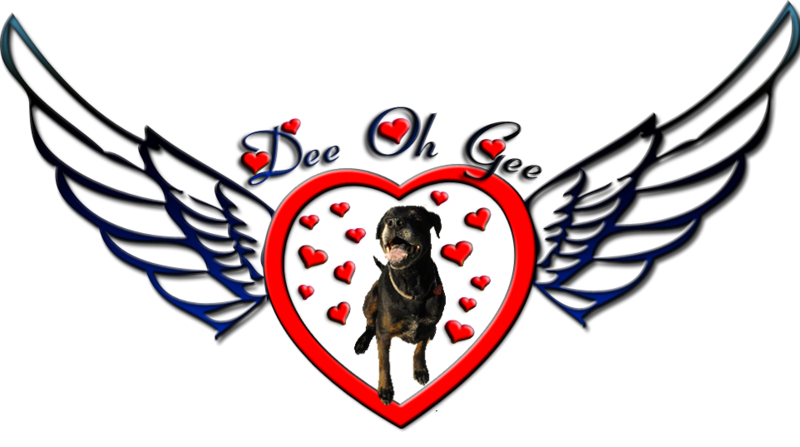 This blog is dedicated in loving memory of my familiar spirits. These Animal Angels have been my best friends, my protectors, my teachers, my dogs, my heart. Teaching me the values & ethics no people ever had (save my grandmother). They taught me to know love, loyalty, devotion, courage and heart. To know them with out limits and to have them with out condition. I would not be the person that I am today had not been blessed with those tremendous spirits. and you will always SHINE INSIDE! 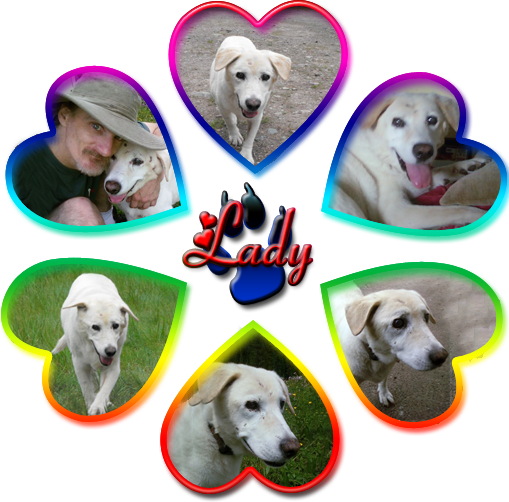 Lady was a yellow lab and she passed away august-17th 2010. I rescued Lady from the Lancaster animal shelter a little over a year ago. 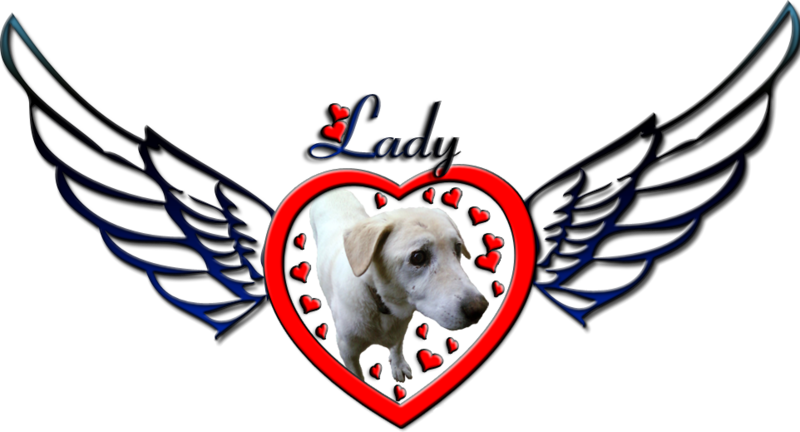 She was very old arthritic covered in moles and cysts and stuck in a cage with 4 other dogs. Lady was a day from being euphonized and I felt I had to take her. I new nobody else would. The people at the shelter thanked me for choosing the oldest one with the worse health. She had been neglected and abused her whole life. She wanted nothing to do with me. She was food aggressive. She growled if you put your face anywhere near hers. Snapped at me when tried to help her up. What people must have put her through to make her this way troubles me, it is not in a dogs nature to be that way. Slowly I gained her acceptance and eventually her trust. It took over a month before she wagged her tail for the first time with out promise of food. another month to teach her she didn’t need to worry about food. 6 months after I rescued her from that shelter I was returning from a hike and I heard her howling. She was calling for me and I new then that the walls were now gone she loved me and missed me. The only thing that I was not able to get her over was the flinch she always had which accompanied an unexpected touch it angers me to think what she must have gone through to expect pain to accompany any human contact. The best years of her life spent in pain and/or isolation. I just wanted her to know what she never had before love, security, trust and a little happiness. Lady died 3 days ago and her last hours were spent in my arms hearing my voice and knowing she was loved. I will always love her and rescuing her was one of the most worthwhile things I have ever done, in my futile attempt to in some small way make up for what my kind had done to her. Lady you will always hold a special place in my heart. 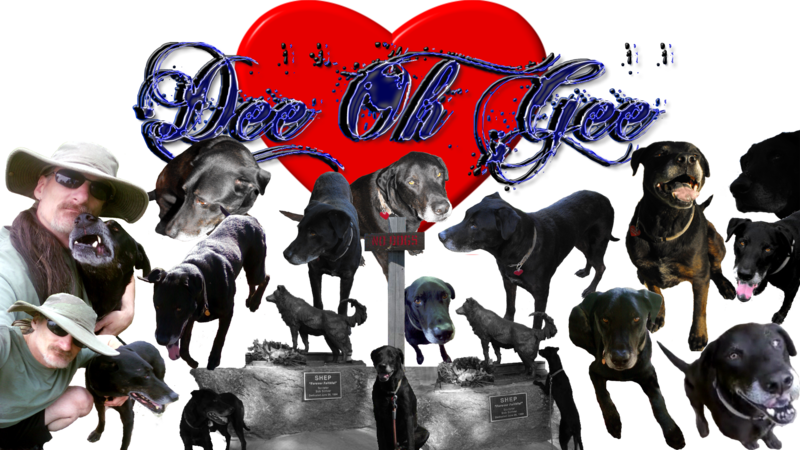 Dee Oh Gee was a black lab I rescued from the Carson Animal Shelter. I had gone in to rescue a golden retriever I saw on the available listing for the shelter. When I arrived I was told that he had been put to sleep the day before. I was about to leave on a 10 month road trip and wanted to find a friend and hiking partner. I passed him up twice looking for the right match when a worker told me He was hours from being euphonized. I continued looking but new then I had to take him or it would feel like I was the one responsible for his death. I never regretted it for a second. He was so eager to please. loving affectionate and over time became very independent as well. The first time we went into the woods in my R.V. he would get out just to do his business and then he would run back into the motor home. To get him to go on a walk I had to put him on leash and drag him the first hundred yards. Within a month or so he came out of that shell and showed his adventurous spirit, always up for a hike always exploring but never so far he could not hear my voice. He was the best traveling companion you could hope for. The best friend as well. He woke me up one night warning me of a fire in my R.V. I would enter his name for one of those heroic pet awards except I am not sure he would qualify seeing as he started the fire to begin with. The fire was an accident he warned me of the danger deliberately that makes him a hero in my book. While traveling the I-5 at night I had a blowout, there was very little shoulder to work with and traffic moves at 65+ on this stretch. It was a loud bang and I pulled off best I could to check the tire. Dee Oh Gee was between me and the door and I said would you get out of my way. I jumped out took a quick look at the destroyed right tires and saw 2 semi trucks coming fast so I jumped back in and drove the 1 mile to an exit where I could safely stop only to find Dee Oh Gee was no longer in the R.V. It was over 10mi. to the next off ramp if I went back the opposite direction then 10mi back. So I instead ran up the freeway toward the spot I had my blow out. But couldn’t find him. I spent the next month putting up posters, checking shelters and even hired a service that calls all residence of an area and nothing, He had a microchip and tags but I still have not heard anything. It was farm country and wide open. Houses so far apart and pastures as far as the eye could see. The first 2 days I traveled that small stretch of freeway many times, both in a vehicle and on foot looking for his body dreading what I might find. But he was not hit by a car (I am grateful for that) I finally just ran out of ways I could actively look for him and had to accept the fact that I would have to wait for someone to find him and call me. No one ever did. I still check every county shelter within a hundred miles of where he went missing searching for him. What really gets to me is that I must have unintentionally slammed the door in his face and driven off and the last thing I said to him was would you get out of my way. If there is one moment in my life that I wish I could take back it would be that 30 seconds along I-5 freeway. I will never stop looking for Dee Oh Gee. If I never see him again I just hope that he knows that I did not abandon him and that I will always love him. Quilto was my grandfathers horse and his pride and joy. When my grandpa broke his hip he had to stop working with the horses so Quilto became somewhat wild. When my grandpa passed away a few years later I began caring for Quilto. Being a stallion he had an unlimited reserve of testosterone and a very wary opinion of anyone approaching him. The first time I got into the ring with him he charged me & I charged him without hesitation he stopped stomped and snorted a few times then walked away. I had earned his respect and over the next few weeks I earned his trust and friendship. It wasn’t long before he would follow me like a puppy always hanging over my shoulder and nudging me with his nose for affection and treats. We would play a game where I would take off running across the paddock through the door to the other end of the stable and he would chase me till he had me cornered. Then I would turn towards him charging at me he would skid to a stop and I would stomp my feet and throw my arms up. He would rear up snorting and stomping his front hooves on the ground then he would gently walk up and give me a kiss and I would give him a carrot. One day after a rain we were playing this game and I slipped in the mud getting a slow start so when we went through the doorway he was only couple feet behind me. I slipped in the mud at the doorway where there was only room for one to pass and hit the ground. I was sure I would get trampled. But I didn’t and when I looked up I saw Quilto on the ground. He had thrown himself to the ground to keep from stepping on me. 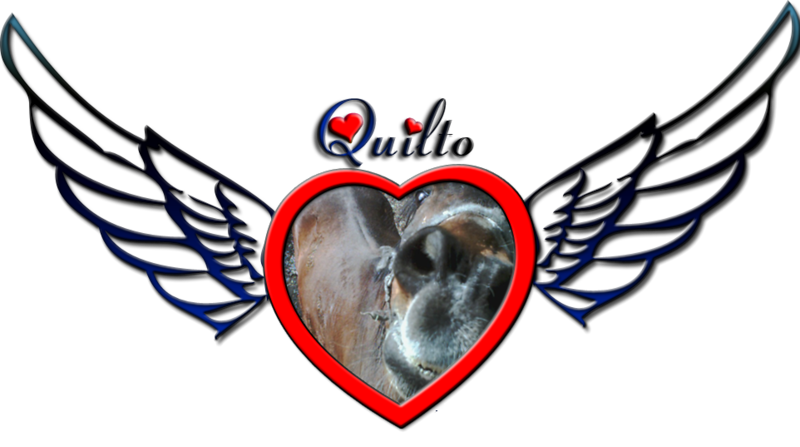 Quilto was a stallion and he had a stallions ego and pride but he had a gentle soul as kind and loving as I have ever known. Quilto passed away at age 34 of Colic. I spent a week while he was sick staying up all night with him getting 2 maybe 3 hours of sleep before I would have someone waking me up with those dreaded words Quilto is down again. We finally had to put him down he was suffering so much it broke my heart when he passed away. Even today I question my decision every choice was made with his best interest at heart and still I will always feel regret for it. 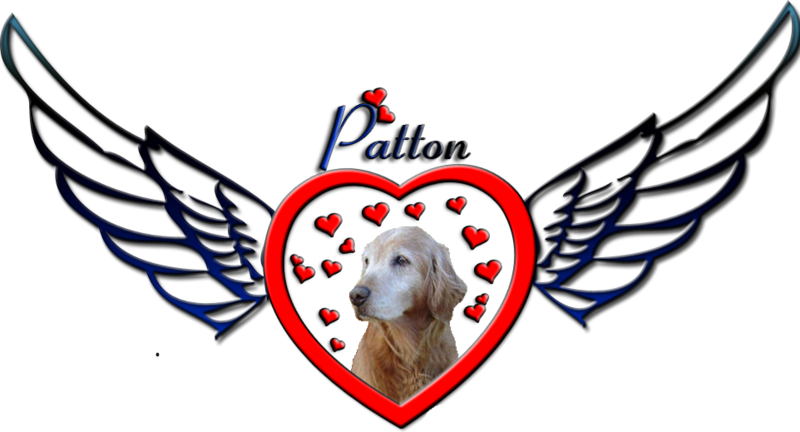 Patton was a Golden Retriever my brother rescued. When he and his wife had a baby she was concerned about having a large dog around an infant (not a dog person). Jeff (my brother) came to my place in Green Valley Lake, high in the San Bernardino National Forest and asked if I could take him. He was already a senior and I was hesitant to take Patton because of my mobile lifestyle and his age but I did anyways. I am so glad I did. Patton unlike Shila was very dependent on me but I didn’t mind. I found myself always feeling the need to get home to my boy. He would sit waiting for me. Mostly blind his head would pop up every time a car or person would approach awaiting my homecoming. When I would see him I would call to him at which time he would get up and run to greet me, his tail wagging so hard his whole body would wiggle. He would defend me at the drop of a hat and though he needed much more attention than most dogs might. I have never felt so loved as I did while Patton was alive. He passed away at 17yrs of age and I miss him every day.